Frozen corn on the cob looks like fresh corn on the cob, but doesn't necessarily taste like it. 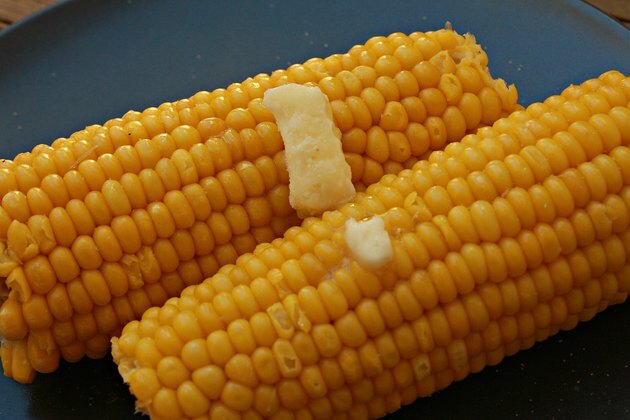 If you overcook it, frozen corn becomes limp, flavorless and watery. Even with careful preparation, it won't have the crisp-tender, bursting with juice quality of freshly picked corn, but it will be a close approximation. Heat only as many ears as you can use in one sitting because they don't store well. Place the corn on the cob in a medium saucepan. Fill the pan with cool water. Heat the water at high heat to boiling. 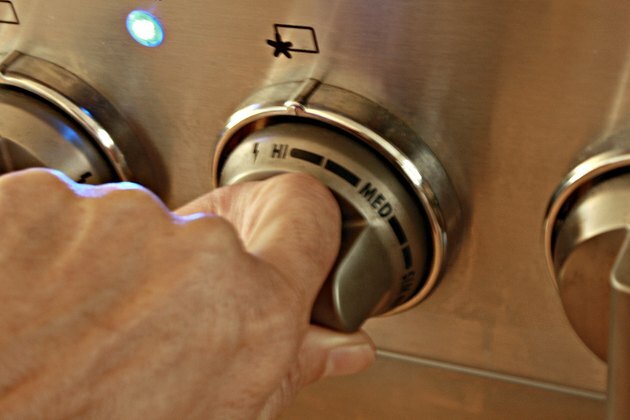 Turn the heat down and continue to cook for five minutes. 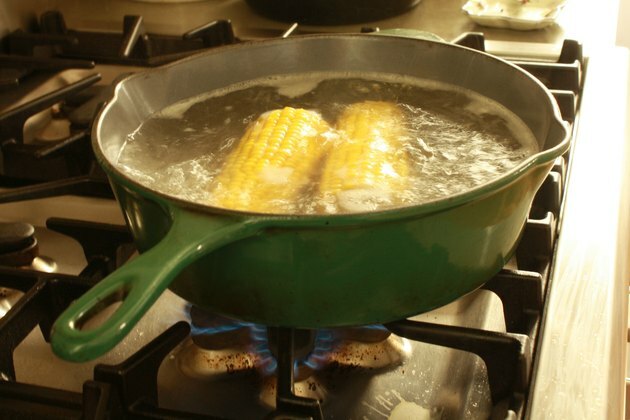 Remove the corn from the water and allow it to cool slightly. Taste it to check for doneness. If it is still cold, return it to the water for three to five more minutes. Run a paper towel under cold water to dampen it and wring it out. 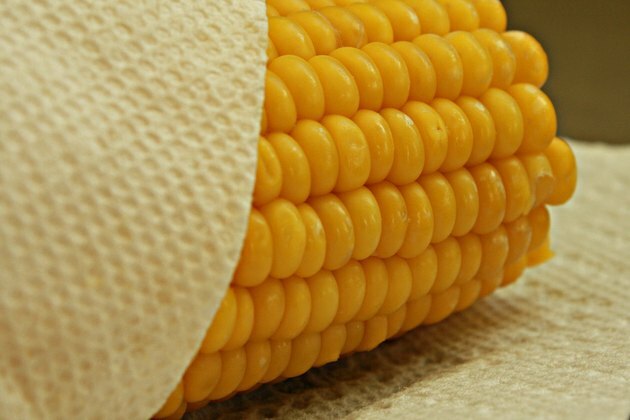 Wrap one damp paper towel around each ear of corn. 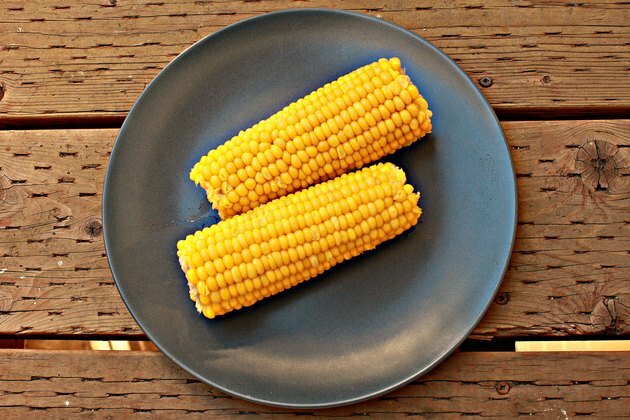 Place the wrapped corn on the cob on a microwaveable plate. Place the plate in the oven. 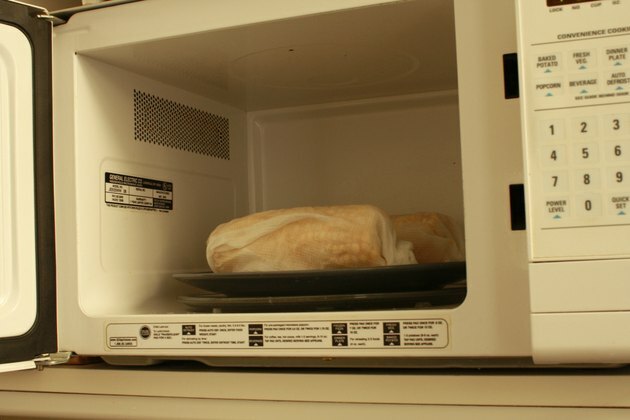 Microwave the corn on high heat for three to five minutes. Taste it to test for doneness and cook an additional two to three minutes, if necessary. 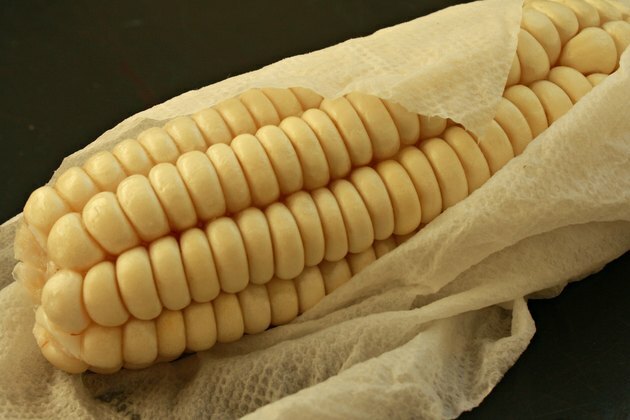 Do not thaw the corn before cooking, which can make it soggy.